I absolutely adore floral print, and want to wear it all year! However, florals can be hard to find in the colder months. It’s just much more appropriate in the spring/summer. So of course the second I laid eyes on this adorable floral dress from West Kei thats perfect for fall, I had to have it. This dress is probably one of my favorites. It is beyond flattering in all of the right places, and I love the way it flows as I walk. You can purchase West Kei clothing at Nordstrom, Saks, Neiman Marcus, and other high end retail shops. Their clothing is not only adorable, but the quality is also great. I promise you will love their clothes! I hope you are all having a fabulous week! Oh, and happy Fri-YAY tomorrow! Next Post Labor Day Sales! Oh I love it! 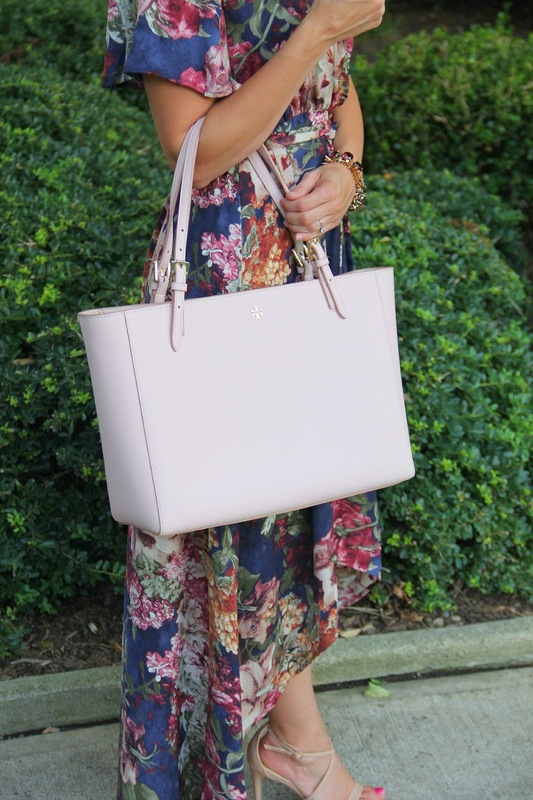 This is indeed a perfect floral dress for fall! What a fab maxi dress. 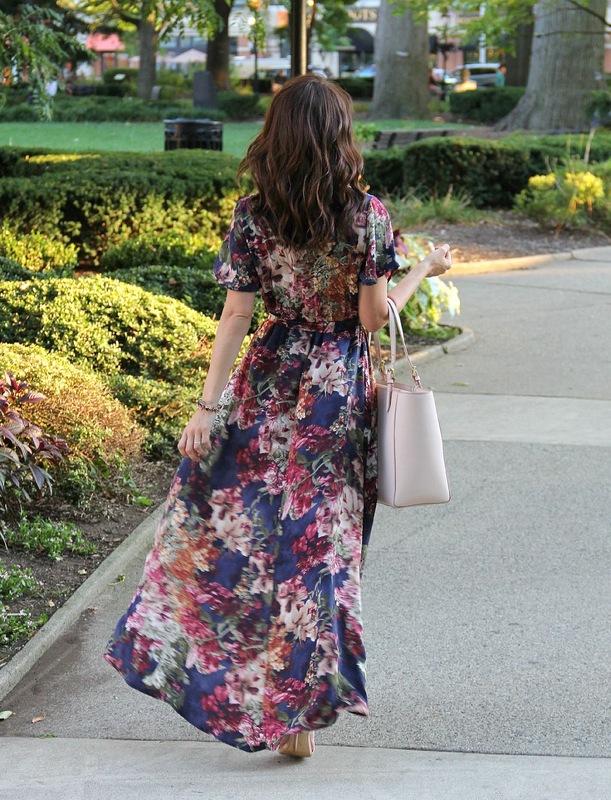 I love floral maxis too! And the hi-lo hem in your dress is a fab detail! This dress is amazing! I'm not typically a floral type girl.. but I love this one!! !